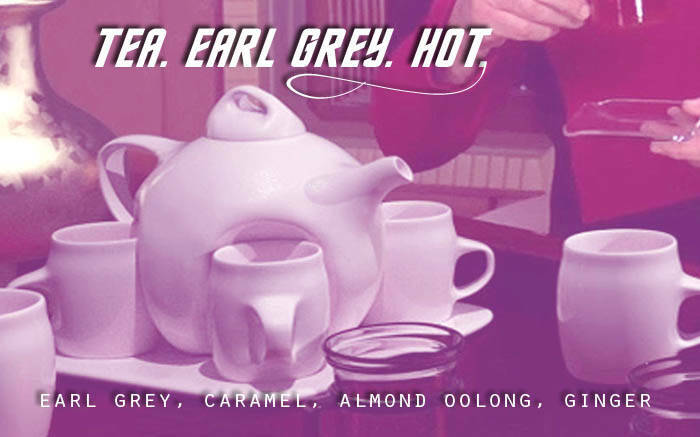 A rich, smooth base of Earl Grey just the way Picard likes it, fleshed-out with the hearty sweetness of caramel and oolong almond with a final dash of ginger -- just what you need to perk up your step before facing a day of Starfleet regulations and belligerent Borg! 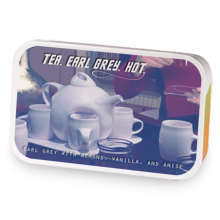 Picard&apos;s Ginger has hooked up with Make It Tea, Number One!. Make It Tea, Number One! Love Picard&apos;s Ginger? This is just one of 3 teas in this fandom. Check out the whole series.